RAPAPORT... The Gemological Institute of America (GIA) has found a natural diamond with a synthetic coating that tints it blue – and has warned that more such hybrids might be on the market. The 0.33-carat stone, which had been graded fancy blue, had a thin layer of lab-grown diamond on it, created using chemical vapor deposition (CVD), the GIA explained in a lab note this week. It was the GIA’s first such discovery. Gemologists at the GIA’s New York lab noticed a number of unusual characteristics that gave away the diamond’s synthetic coloring. The stone contained both nitrogen and boron defects — a rare combination. 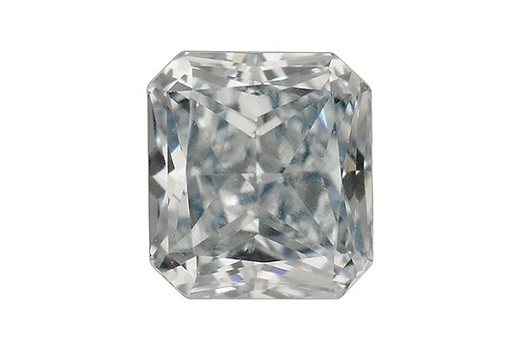 They also found it was a mixed type Ia and IIb diamond, another highly uncommon scenario. Analysis using the DiamondView imaging machine showed the diamond itself had characteristics of a natural stone, but the top layer bore signs of being manmade. While the GIA had never before found a synthetic overgrowth on a natural diamond with a fancy-color grade, the lab warned that there were probably more cases out there undiscovered.